Join us for Our Spring Concert Series, "Seriously Funny"
Musical Humor, Wit, and Whimsy"
This spring, Madison Youth Choirs singers are exploring the unexpected ways that elements of humor, from irony and incongruity to improvisation and timing, are reflected in a wide variety of classical and contemporary musical compositions. We're learning that music, like humor, is a kind of language, operating with its own sense of logic, patterns, and conventions that composers can twist to surprise us and take our musical journey to new places. As we study the complexity of humor as a mode of creative expression, we are discovering the power of satire, wit, and misdirection to help us reexamine our assumptions, musical and otherwise. In our culminating concert series, our singers will present works including Handel's "No, di voi non vo' fidarmi," Timothy Takach's "I Will Howl," "Fugue for Tinhorns" from Guys and Dolls, and the second movement of Leonard Bernstein's Chichester Psalms. We'll also present the 2018 Music Educator of the Year Award to Patty Schlafer, band director at Mount Horeb Middle School and longtime music educator for numerous summer music clinics and community theater productions in Wisconsin. See additional details about concert times and ticket sale information in our Upcoming Performances section. MYC Intergenerational Choir Will Now Welcome Alumni Parents! 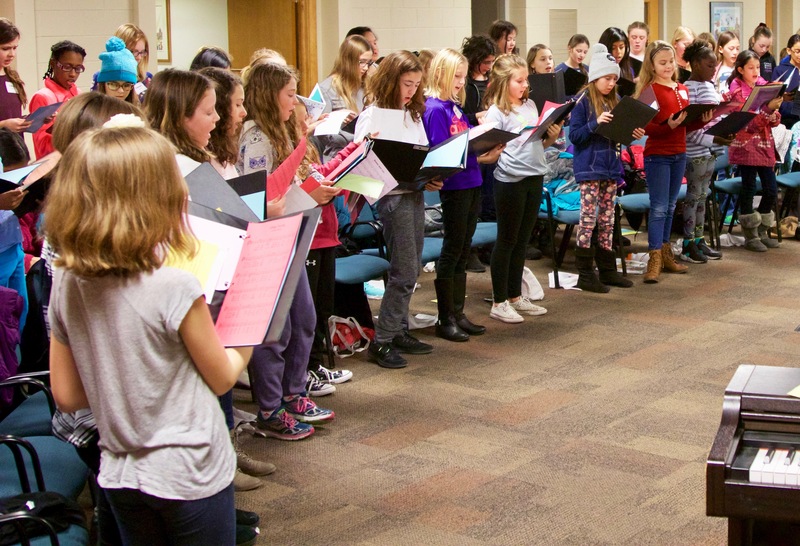 Since January 2015, MYC's Intergenerational Choir has celebrated the power of creative expression at every age, inspiring maximum capacity crowds in Capitol Lakes' Grand Hall. This celebrated ensemble, which began as a collaboration between senior residents of Capitol Lakes retirement community and MYC's Cantabile and Ragazzi members, has expanded to include MYC alumni and parents of current singers, and in the fall of 2018, we will welcome the parents of Madison Boychoir, Madison Children's Choir, and Madison Youth Choirs alumni into the choir! The ensemble performs a broad range of challenging classical and contemporary choral works, taught in an accessible and engaging style by longtime MYC conductor Lisa Kjentvet. Our next Intergenerational Choir session will launch in September 2018 when Capitol Lakes residents begin rehearsals, and MYC singers, alumni and alumni parents will join them for combined rehearsals set for October 30, November 7, and November 14 in preparation for a November 17 concert at Capitol Lakes (333 W. Main St, Madison.) If you're a Cantabile or Ragazzi member, alumni, or alumni parent interested in joining or learning more about this innovative ensemble, please contact Lisa Kjentvet. This summer, our boychoirs will take flight on an amazing opportunity for musical and personal growth at a summit of incredible young artists from across the globe in Aberdeen, Scotland. We want this experience to be within reach of all of our students, including those whose families face financial challenges, who have dreamed of performing on a world class stage but who would not be able to travel internationally without a tour scholarship. Recognizing the great value of MYC's past experiences in Aberdeen, where we have performed with youth ensembles from Indonesia, Norway, Ghana and beyond, a generous anonymous donor made a wonderful offer to double every dollar donated to the 2018 MYC Scotland Tour Scholarship Fund, up to a total of $10,000. Our incredible community responded with gusto and so far have raised $6,573. You can help us reach the $10,000 challenge by making a secure online donation here and writing "Scotland Tour Scholarship Fund" in the designation box. Many thanks for your consideration! On Saturday, April 28, MYC and Mt. Zion Baptist Church will co-host the CoMUSICation choir from St. Paul, Minnesota, who recently performed at the Super Bowl with original Hamilton cast member Leslie Odom, Jr. CoMUSICation is a choral-based youth development program inspired by the El Sistema movement, serving a diverse group of young people from the St. Paul Promise Neighborhood through intensive rehearsals of multicultural choral literature, frequent performances throughout the community, and strong support of academic skill-building and achievement. Our Con Gioia choir will join CoMUSICation and the Mt. Zion Youth Choir for a weekend of musical collaboration and fellowship, culminating in a free public concert at Mt. Zion, Saturday, April 28 at 7:00pm. 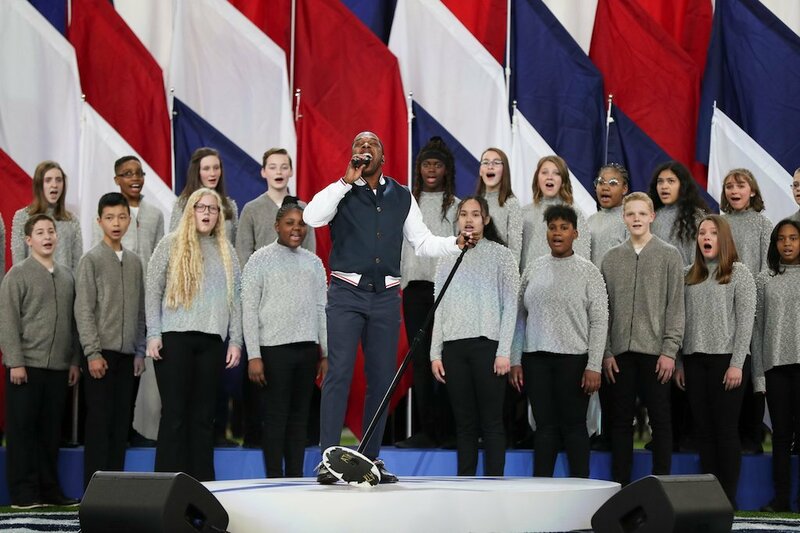 Over the past 47 years (since the founding of Madison Boychoir in 1971), the legacy of MYC has included thousands of talented young people who have gone on to make outstanding contributions to communities all over the world. If you're an alum of Madison Boychoir, Madison Children's Choir, or MYC, we'd love to share your story in a future issue of The Voice! Keep us updated on the MYC Alumni Page. Francesca Hong sang in Cantabile from 2004-2006 and has become a rising star in the culinary world, working in the kitchens of La Brioche, Graze, Restaurant Magnus, and Brasserie V before taking the reins as executive chef of 43 North when she was just 23 years old. In December 2016, she and her husband Matt Morris, along with business partner Shinji Muramoto, opened Morris Ramen on King Street. She is also a co-founder of the Culinary Ladies Collective, a network of professional female chefs, cooks, food and beverage producers, growers and artisans located throughout Wisconsin, committed to serving our communities through mentorship, volunteer outreach, education, fundraising, and advocacy. Kim (Schaefer) Huff sang with Madison Children's Choir from 1990-2001. After obtaining her degree in Communication and Spanish from UW-Stevens Point, Kim worked in the banking industry, for the State of Wisconsin, and in the Madison Metropolitan School District. She has continued her choral involvement throughout her life, singing in the choirs of UW-Stevens Point and the Philharmonic Chorus of Madison, and will be touring to Iceland with Madison Chorale this spring! 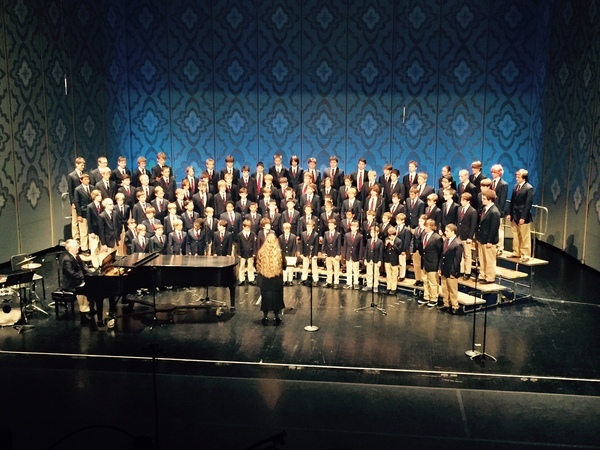 Aza Muzorewa sang with Madison Boychoir and Madison Youth Choirs from 2002-2008. After graduating from UW-Oshkosh with a degree in Art Science, Aza became a Lead Staff Coordinator at the Wil-Mar Neighborhood Center, which recently became a new site for MYC's School and Community Choral Program. "MYC was so instrumental in my life, not just in teaching me how to better myself as a singer, but as a human being as well. MYC challenged me to be the best Aza I could be, and to always push myself to the limit!" Emily Souza Rutkowski sang with Madison Children's Choir in the 1990s and now lives with her family in the Netherlands, where she works as a software consultant and project manager. She fondly remembers Cantabile's 1996 tour of Italy, which helped foster her love of travel. "We were exposed to such wonderful examples of art and music. 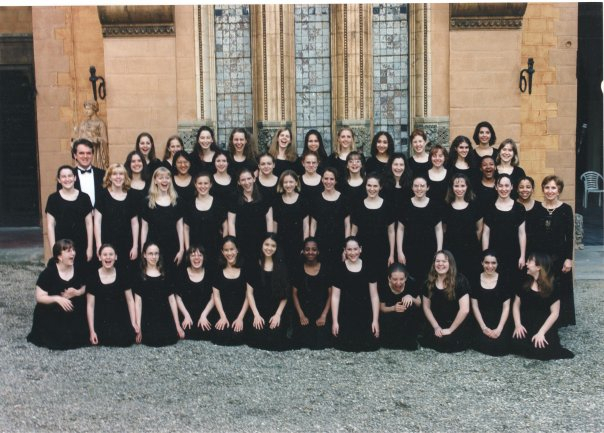 I have wonderful memories of the 'smaller' moments in choir too, of course, but the Italy trip was definitely one of the pinnacles of my early life." "Seriously Funny: Musical Humor, Wit, and Whimsy"
MYC Singers Appearing in Opera for the Young's "Rusalka"
Singers ages 11-18 are invited to audition for our 2018-2019 season in May/June 2018. There is no cost to audition and no preparation required. Audition registration is now open, and singers may sign up for an audition slot on our website. Younger singers (ages 7-10) are invited to enroll in a summer introductory choir class. Sessions will begin in June and registration is now open on the "Join a Choir" page of our website. Thank You to Our Incredible Supporters! 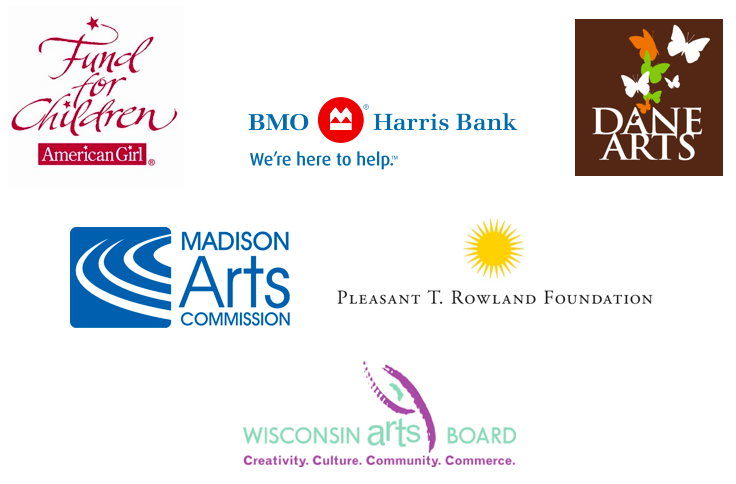 Our family of community supporters continues to grow and we are especially thankful for the donors and sponsors that allow us to create innovative new programs, expand successful initiatives to serve more young people, and ensure that no student will ever be denied an opportunity at MYC due to their financial circumstances. Your annual donations to MYC keep our choirs singing throughout the year, but if you would like to make a more permanent investment in the MYC program, we invite you to consider joining the MYC Legacy Society through a planned gift. As state and federal funding of arts education become more uncertain in the years ahead, community support of our programs is essential to the continuation of high quality music opportunities for our young people.